At Coast Range CrossFit, our programs are designed to make an impact. Each one provides long-term benefits that can improve your overall quality of life. From beginners to professionals, your body will be challenged and changed in the best way possible. Great training is on the horizon. Come by and see what we have to offer. Who says adults get to have all the fun? CrossFit Kids teaches children the principles of mechanics, consistency, and intensity in working out. Establishing good movements and fitness through childhood and adolescence is our goal. CrossFit Kids provides physical literacy, enhanced sports performance, and fewer sports injuries. Also, scientific research proves that exercise benefits cognitive function. So, your little athlete will do better on the field and the classroom. Our Coast Range CrossFit PreTeen class is the perfect bridge between the “fun” of CrossFit Kids and intensity of a teen or adult class. The workouts will be more performance based and light loads will be introduced with the goal of preparing athletes for the rigors of sport and the next level of CrossFit, all in an age appropriate setting. In today’s busy world, it’s hard to find time for regular exercise. So, it’s important to make the most of what you have. 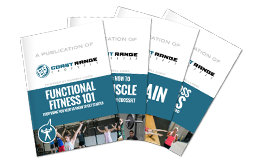 Coast Range CrossFit offers a variety of personal workout programs to help you achieve your goal. Your personal trainer will develop an exercise regimen suited specifically for you. A required course for all new members with less than six months of CrossFit experience at a registered affiliate. Train beside other beginners just like you and learn the correct techniques for classic CrossFit movements. This series will ease you into the intensity of more traditional workouts. We offer two, 1-on-1 or small group classes that last approximately an hour and a half each. We offer childcare for our members during selected classes. Childcare begins 15 minutes before the scheduled start time for the class and then ends 15 minutes after the conclusion of the group class. The typical childcare block is 1.5 hours. Parents are not permitted to leave the premises during the childcare block. We accept infants that have reached at least 6 weeks of age. We offer childcare on a drop-in basis or a flat rate membership. Our childcare program is managed by a credentialed teacher and run by moms. Our goal is to provide your child with a safe and healthy environment while you enjoy one of our group classes.